The release dates have been announced! The newly designed Wii Remote Plus is going to be available November 11th in Japan, and surprisingly, Europe will see the new device before the land of the rising sun! The release for Europe is set for November 5th. Even more surprising, the new Wii Remote Plus will be available to Americans on October 29th! The only catch is that you also have to buy the Mario 25th anniversary Wii console to go with it, and the remote will be red. 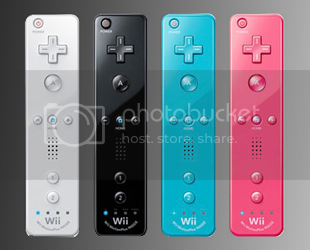 Otherwise, the Wii Remote Plus will be available in a variety of colors. Here at Zelda Dungeon, we’re concerned with how the new device pertains to Zelda! Since Skyward Sword has been in the making for so long, I’d expect that at the beginning of it’s development they made the decision to make the controls work with the Motion Plus controller. It would also make sense that the Wii Remote Plus was developed with Skyward Sword in mind, making the controller less bulky and easier to use. In fact several reports make this same claim. It’s clear that Skyward Sword’s release date has been pushed back so it’s logical to think that the original plan was to release the new remote with Skyward Sword. Fortunately for us, Nintendo’s got a lot cookin’ and it appears the the Wii Remote Plus was finished before Skyward Sword was ready to hit the shelves. The new device will be available on November 19th and can also be purchased in a bundle with Fling Smash. The US release will happen 8 days after the Japanese release and a full two weeks after the European debut. What do you guys think of the new remote? Will you buy one? Do you already have the Motion Plus accessory? Do you want to play Skyward Sword with the new Wii Remote Plus? or would you be fine using your Motion Plus? Let us know in the comments.